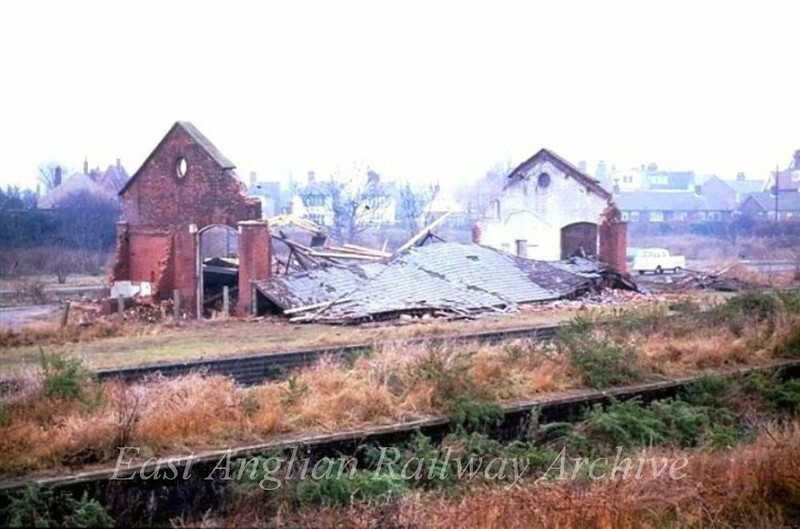 Gorleston On Sea Goods Shed in the process of being demolished. In the forground is the former loading dock. The goods yard had access to a five ton crane. Photo with kind permission of Chris Nash.